A retired professor has definitely gotten his money's worth out of his family's 40 year old sloop. 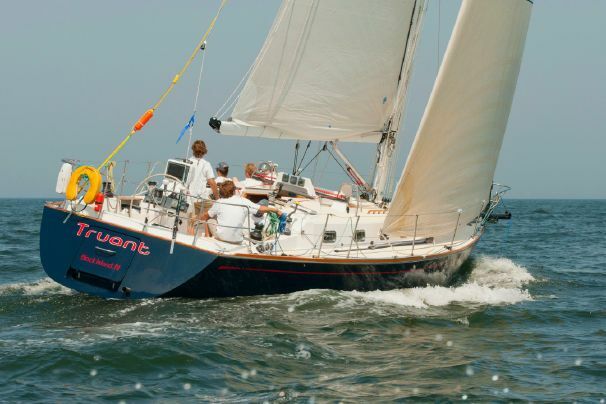 How do you get from kayaking in war-torn England to relaxing in the cockpit of a Tartan 34 on Long Island Sound? You follow the saga of Klaus Nuki. Nuki, 78, a retired professor of oral medicine from Avon, Conn., recalls his first watercraft: a “rubberskinned kayak” that packed into a backpack and held two people. 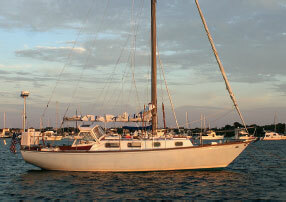 Pyewacket was built in 1968 and has been well-looked after ever since. “This was on the Thames River in London after World War II,” he says. He learned seamanship by avoiding the debris that floated on the ravaged waterway, England’s busiest. While teaching at the University of Iowa in 1967, Nuki, a native of Austria, found himself close to another of the world’s great rivers, the Mississippi. So he bought a 20-foot Reinell powerboat — a Californiabuilt inboard overnighter — that he and his wife, Jill, and their family used for river cruising. When he moved to Connecticut in the late 1970s, the Reinell came, too. But Long Island Sound isn’t the Mississippi, as Nuki soon realized. “I decided after the first few outings that a 20-foot open boat was not family- friendly in 4-foot seas.” He traded in the powerboat for a 26-foot Reinell sailboat. It was the family boat for 12 years, and Nuki taught his three children sailing and seamanship aboard the faithful little yacht. There was little to do to the well-cared-for Tartan. Early on, Nuki converted the original Atomic 4 gas engine from raw-water to freshwater cooling. Shortly after, he had the engine removed and completely reconditioned, and electronic ignition was added. More recently, he’s repainted the decks with nonskid and installed a manual windlass. That’s left plenty of time for sailing, and that’s what the family does. With its sloop rig carrying just less than 500 square feet of sail, the Tartan 34 is a solid sailer, Nuki says. 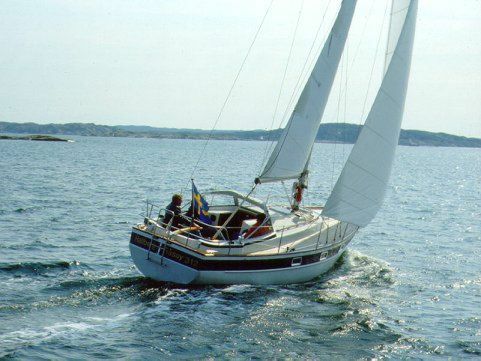 It cruises easily at 4 to 6 knots under normal conditions, and when the wind pipes up to 15 or 25 knots, she’s “quite fast.” He doesn’t use the centerboard much, but it’s there when he needs it. The layout below — with room for up to six and featuring a “master suite” forward with adjacent head — works well for family cruising. The galley is small, but complete. 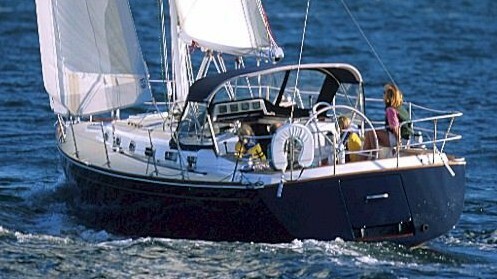 The Tartan 34’s profile shows a moderate spoon bow, a moderate overhang aft and a traditional trunk cabin. 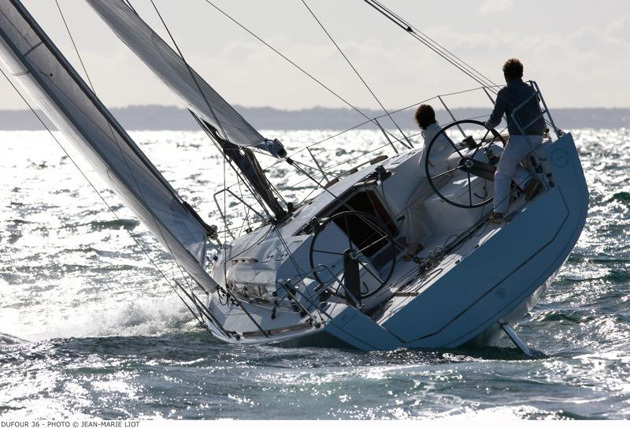 Below the waterline, the hull — designed for the Cruising Club of America racing rules — has a full keel, but the draft is kept to a minimum thanks to the centerboard. The rudder is skeg-mounted. Most 34s were sloop rigged, with a handful done as yawls. 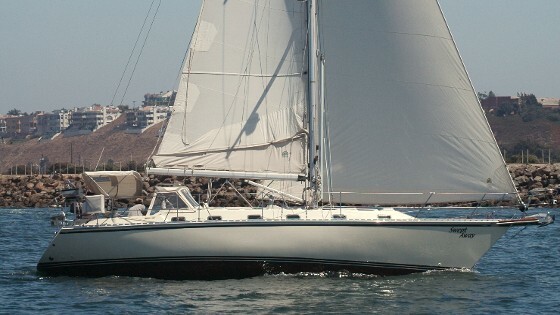 The basic sail plan features a high-aspect main and masthead jib. Sail area varied from around 475 square feet to a bit more than 500, depending in part on which of three booms (14, 12 or 10.5 feet) were used. The interior featured plenty of teak, offset by white bulkheads and overhead. 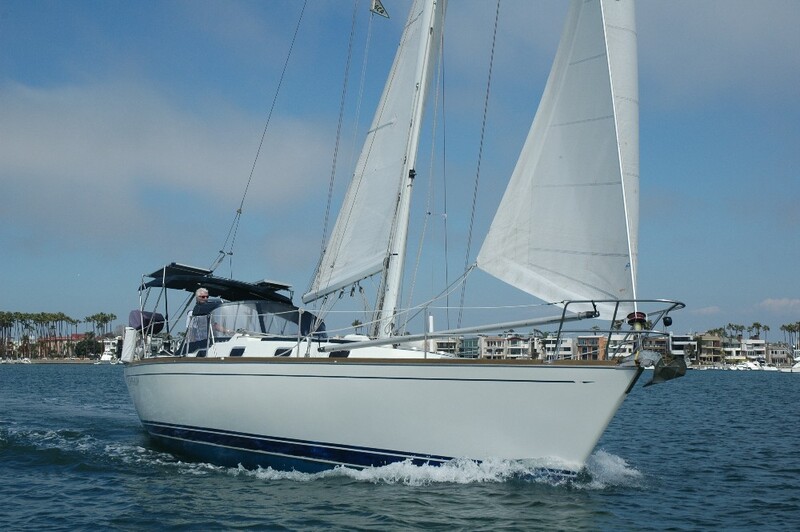 The compact galley is to starboard, near the companionway, and original equipment included a gimbaled stove, icebox and a stainless-steel sink. The boat could sleep up to six. There’s a V-berth for two forward, and the adjacent enclosed head compartment is to port. The saloon has opposing bench seats (converting to berths) and a drop-leaf table. The engine box is also in the saloon, providing excellent access and an extra seat at the foot of the companionway. 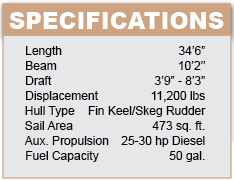 An optional quarter berth could be installed to port, abaft the saloon, replacing storage. 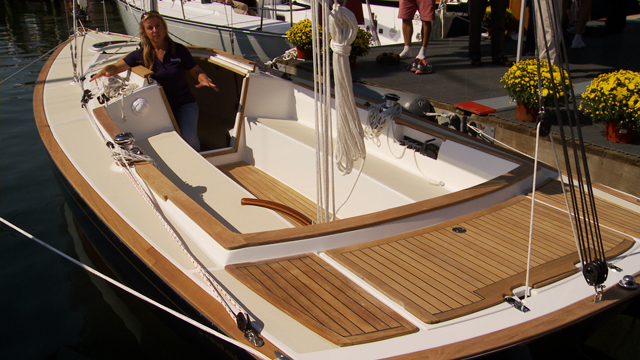 On the used-boat market, Tartan 34s from the first production run cost from $20,000 to around $30,000- plus, and they can be found all around the country. Note that the T34C designation was established to distinguish the original 34 from the updated 34-2. Steve Knauth is a contributing writer for Soundings Magazine. This article originally appeared in the October 2009 issue.